Interviews with Howard Teich on Solar Lunar dynamics - the Archetypal Psychology of the Sun and the Moon. Here are some graphs which will help understand the nature of solar lunar dynamics. Since the beginning of recorded time, on all continents of the earth, the sun and moon have been re-occurring symbols. 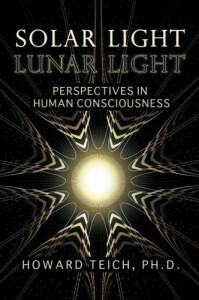 Solar and lunar archetypes are fundamental to consciousness. But what do they represent and how can we use the archetypes of the sun and moon to clarify, understand and transform our own lives? Here you will find a growing wealth of resources to do just that. In this video, Dr. Howard Teich presents an introduction on how think symmetrically about the mind in terms of Solar and Lunar forces. A core Jungian concept proposes that men develop their feminine side (anima) and women their masculine side (animus); this constrictive terminology confines us to rigid ideas of gender. However, Jung’s rediscovery of alchemical mythology, which uses imagery of the sun and the moon rather than masculine and feminine labels, can free us from cultural gender labeling, potentially restoring the wholeness and creativity embodied in those lights of nature. When we move from the polarizing gender dynamic to the complementary-cooperative partners of the solar and lunar modes of consciousness, we are on the path of evolution’s dynamic dance. Presented by Howard Teich, Ph.D. and Robert Moradi, M.D.